Top 5 Trip Tunes need no introduction so here we go. 5. 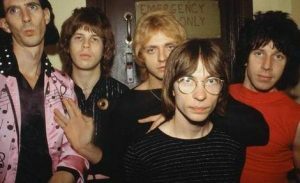 You’re All I’ve Got Tonight – The Cars (1978) – This is the fourth cut from The Cars debut album to make a Trip Tunes list since kicking off the project in September 2017. How’s that for a band’s first record? And there’s a couple more good tracks still left on the album, ranks as one of the best. This cut also makes me wish I knew more about music and crafting a song as there’s a whole lot going on here to enjoy. 4. 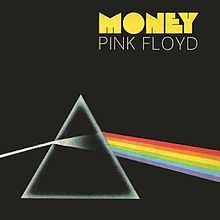 Money – Pink Floyd (1973) – Similar to tune #5 above, this one hails from a great album, something called Dark Side of the Moon. In addition, it has some quirky musicality which I still can’t understand, not my thing. Perhaps a primitive music fan but I like ‘em because they sound and feel good. And while just a bit sophomoric, I also dig it when they sneak in an uncensored line on the radio. 3. 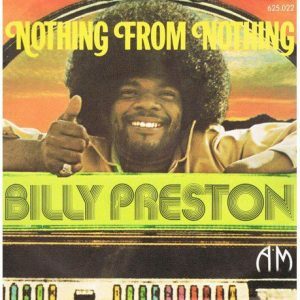 Nothing From Nothing – Billy Preston (1974) – If this one doesn’t get you moving, whether simple toe tapping or a little air keyboard, well, I don’t know what to tell you. There are certain people who were born to do certain things and it is cool when it all works out. Billy Preston was one of those people and his enthusiasm for his craft is contagious with this tune being a perfect example. 2. 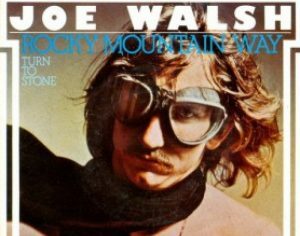 Rocky Mountain Way – Joe Walsh (1973) – Sticking with the born to jam theme, Joe Walsh is about as entertaining as it gets. Whether playing, singing or just rambling this guy knows how to have fun. I’m also partial to baseball references in song lyrics and Walsh’s “bases are loaded and Casey’s at bat” is a hit. 1. 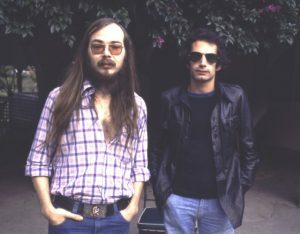 Do It Again – Steely Dan (1972) – Back in the days when a youngster rarely, if ever, got a glimpse of the rock stars from the radio there was always a mental image of the guys and gals. When I did get a look at Donald Fagen and Walter Becker at some point (probably on The Midnight Special or at The Platter record store), well, my imagination wasn’t even close. 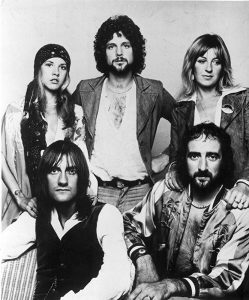 No matter to me, but wonder if these guys would be glamorous enough for today’s musical landscape. 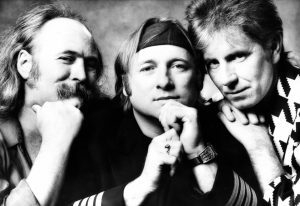 Ideally, their songwriting and musicianship would win out but not so sure as were not in the 1970s anymore. 5. 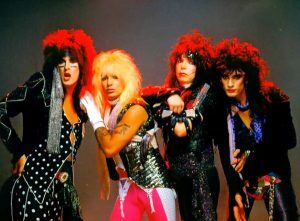 Home Sweet Home – Motley Crue (1985) – I know, standard 80s Hair Band staple to include at least one ballad but doggone it this one is a winner. It’s tough to hit the nail on the head with a hit that has that anthemic quality so kudos to the Crue for pulling it off with this classic (see also “Rock and Roll All Nite”, “We Will Rock You”, “Paradise City”). 4. 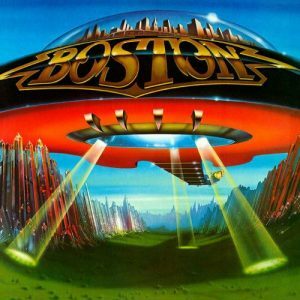 Feelin’ Satisfied – Boston (1978) – While much of this band was studio stuff, I saw them in the early 90s and they were real solid. I recall that you could physically feel the sound across the venue. I never fail to stop when I catch them on the dial and how good was the follow up album containing this cut after an incredible debut. Gotta dig some well-placed hand claps too. The title indeed sums it up whenever I hear this one. 3. 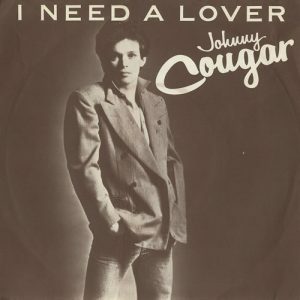 I Need A Lover – Johnny Cougar (1979) – Actually, I don’t. Already got one. Anyway, I dig the intro and it would likely rank in my Top 10 Intros. The rest of the tune is darn good too although I still can’t get the lyrics right even with the assistance of a search engine. 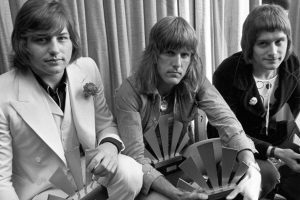 Cougar’s first single to chart was indeed a winner with plenty more to come as well as a couple name changes. Hey, at least he never chose to be represented by a symbol. 2. 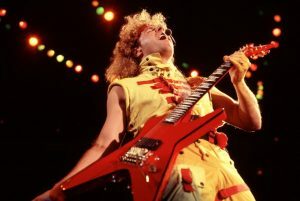 Heavy Metal – Sammy Hagar (1981) – Takes me back to being a 14-year old boy and brings a pleasant smile thinking about the look of those 80s young ladies. 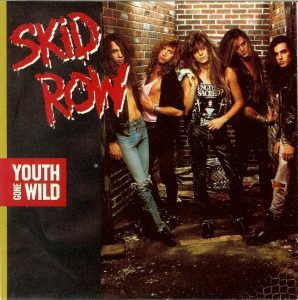 Tunes, fashion and hairdos have certainly changed but a good rocker never gets old. My musical ear also has an affinity for tunes about music, the fans and the performers from a perspective I’ll never know (see also “All Night Long” by Rainbow, “Juke Box Hero” by Foreigner, “Rock and Roll Band” by Boston, “Shooting Star” by Bad Company, “Take the Long Way Home” by Supertramp…). 10. 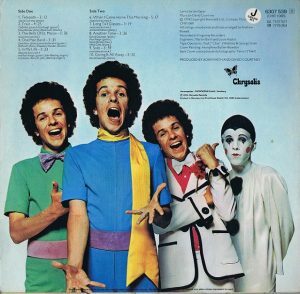 Long Tall Glasses (I Can Dance) – Leo Sayer (1974) – I never knew quite what to make of Leo Sayer as a kid, still don’t and just tip my cap to his phenomenal talent. 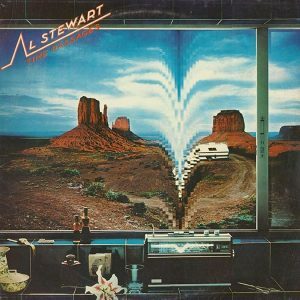 Interesting and varied personas (clown to disco) mixed with a range of vocal stylings (falsetto to growls) and tunes that were all over the place (ballads to romps). This cut hits the spot, brings a smile and takes me back to the 70s. Thanks Leo, “You make me feel like dancing” even though I know I can’t dance. 9. 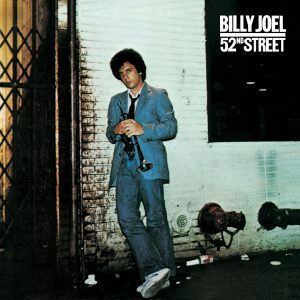 Big Shot – Billy Joel (1979) – An entertaining and rocking bit of trash talking from the 52nd Street album, which I had on 8-track once upon a time, so that’s kind of fun. And so is the interspersed mix of heavy guitar, heavy drums, heavy keyboard, heavy vocal, a bit of heavy sax…get it Billy! I also like lyrical quirks so “last word last night”, “white hot spotlight” and “front page, bold type” keep me so entertained. 8. 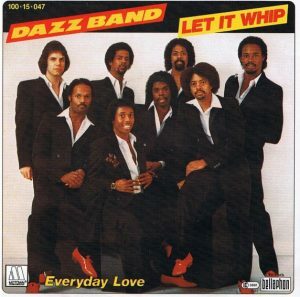 Let It Whip – Dazz Band (1982) – Dang, what a bass groove! Definitely a hook as I do the air bass and make some sort of lame bass sounds before the vocals kick in whenever I hear (or think about) this jam. Of course, then I’ve got to sing along and get my groove on. Not pretty but you can’t help it when you hear such a tune. Fun, fun, fun! 7. 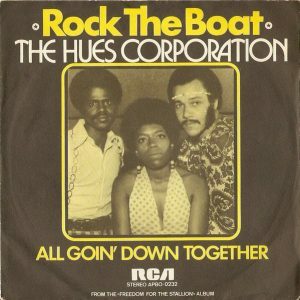 Will It Go Round In Circles – Billy Preston (1973) – Such a fun song with so many musical bits of horns, harmonica and, of course, keyboards amidst the driving backbeat. 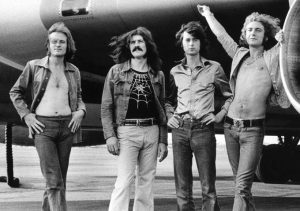 And did anybody look like they were having more fun than the fellow who is sometimes referred to as “The Fifth Beatle”? Check out some of the early 70s performances of this cut for a rollicking few minutes and a killer afro. Great stuff, takes me back and has me on a mission to dig out my old basketball cards for an ABA revisit of Dr. J, Artis Gilmore and Darnell Hillman (nod to Oscar Gamble in the MLB as well). 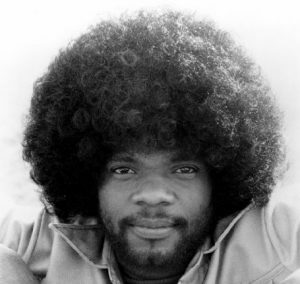 Note: Billy Preston’s hairdo is the lead pic on Wikipedia for “Afro”, now that’s cool. 6. 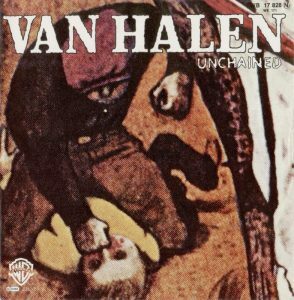 Unchained – Van Halen (1981) – Rock and roll at its finest, a basic quartet of a charismatic lead singer, an innovative guitarist and a dynamic duo of a rhythm section doing their thing on this cut. 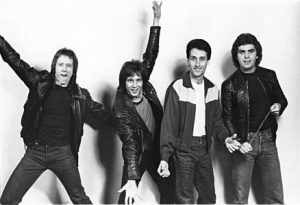 And that thing is a mix of raw rocker, vocal histrionics, a dose of silliness and in my opinion, underrated harmonies. Say what you will about the successful “Van Hagar” years but I’ll take this stuff hands down any day, every day. 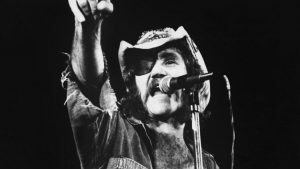 RIP, Ray Sawyer, the eye-patched co-lead singer of Dr. Hook & the Medicine Show who passed away earlier this week. Sawyer’s vocals are featured on the iconic hit, “The Cover of the Rolling Stone”, a satirical romp on making it big. If you’ve never checked out this crew doing their thing on this cut, it’s worth a search and brings a smile. It also leaves you wondering just what these guys were up to and to what degree their performances reflect a bit of chemically influenced reality versus an entertaining batch of leg pulling. At any rate, they sure looked like they enjoyed their craft. Well, they made it once upon a time, in caricature. Mission accomplished by this wild crew who produced plenty of smiling faces on those who with an ear on their craft and an eye on their antics. And being that this is an “outdoor” website, I do have a tie in to the world of fishing and one of its publications. While Illinois Game & Fish may not pack the star powered punch of Rolling Stone, it is kind of cool to see your smilin’ face looking back at you from the cover. Don’t know what fraction of Andy Warhol’s “fifteen minutes” the 2010 appearance might rate but still fun nonetheless. Got a larger shot and a shout out in the accompanying article as well but that is a tale for another day, perhaps this spring. Much appreciated if you are back for more as we take a look at the second half of the lines from 2018. 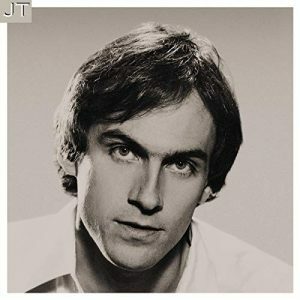 Several months ago, a Facebook group that I follow posed the question of who is the greatest singer or musician of all-time. I narrowed it down to those I have seen or heard in my lifetime and sure think it would be tough to beat this fella. I chose this one as once August rolls around these days I always feel that the summer is done since school starts so much earlier than when I was a kid. I always dug some of the imagery that Henley’s lyrics conjured up and as a 17 year-old kid “I can see you, your brown skin shining in the sun” was quite fascinating. Hey, what do you know? Another love song and this one is a winner. Marty Balin croons it from the heart with nearly seven entertaining minutes of rambling without rhyme that just hits the spot. Sadly, my reason for selecting this cut was Balin’s passing on September 27, 2018. Proving that there is a method to my madness, this one was chosen to coincide with the onset of Daylight Savings Time and the coming Winter Solstice. I’m a science guy at heart and dedicated music buff so it’s kind of fun when it all of that potentially useless knowledge upstairs all comes together. Lots of stuff going on here. Always a treat to hear the “Gentle Giant” who passed away in September 2017. And his reference in this classic tune to Burt Reynolds was also timely as “The Bandit/Gator/Paul Crewe” had died in September 2018. Finally, a near 14” Thanksgiving weekend snowstorm deserved a shout out. As you may or may not know, each new month features a new lyric tucked away at the bottom of the webpage as an added feature. All for fun and gives me an excuse to share my passion for tunes alongside some fish, family, fellow anglers, nature and whatever else crosses my mind as those wheels are always turning. Right on schedule, there’s a new lyric down there but since it’s also the beginning of the New Year, I’ve also got a bunch of lyrics up here too. For the “outdoor” posts of the next two days it’s a look back at the dozen batches of lines, titles, artists and years that graced the footer as “Lyric of the Month” in 2018. Of course, I add a little two cents as well in this recap as I enjoy talking tunes as much as tackle. Such a shame that Lennon’s new start after an extended absence from the music business was senselessly ended only six weeks after this song was released as a single. One of my earliest memories from the AM dial. 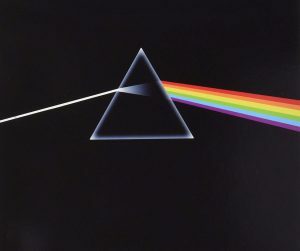 Didn’t understand it then, sort of do a bit more now but simply epic, nostalgic, and tragic and that good, old “drove my Chevy to the levee” line is still a favorite piece of lyrical artistry pushing 50 years later. 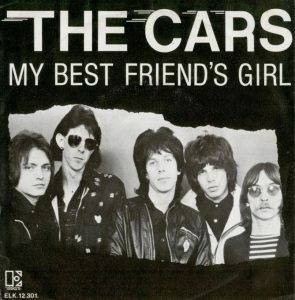 While a little creepy as “I’m a friendly stranger in a black sedan won’t you hop inside my car” and so on, this one jams with some soul and a horn section. Kind of fun that the songwriter and Ides’ leader, Jim Peterik, would find future stardom with his band, Survivor. The best songs are love songs, no matter the presentation, fast, slow or samba. And when you can’t suppress a smile or resist the urge to sing along to the tale of a soggy, broken hearted fool who doesn’t know it or won’t admit it, that’s musical magic. Six minutes later, I’m happy when I should feel bad for the guy. Oft cited as one of the greatest rock cuts of all-time and I would have to agree, it simply doesn’t get old. 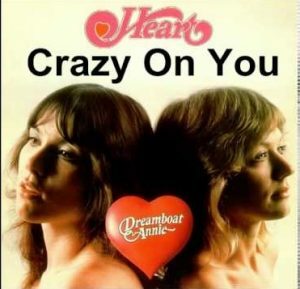 It’s always fun too, when you get more than one song wrapped into one song (see also “Band on the Run”). Hard to believe this one is going to turn 20 years old, time flies. This one was fitting for a late spring heatwave and was just fun proof that a lifetime of listening has left me with a lyric (or two or three or…) for every occasion. Drives my kids (and sometimes Julie) nuts but amuses myself. 3. 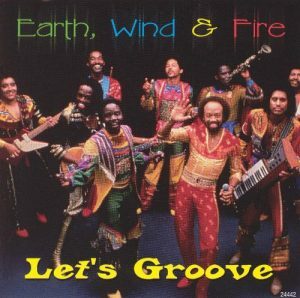 Let’s Groove – Earth, Wind & Fire (1981) – What can you say? This is the jam, even got my boys hooked as they call it the “Boogie on down” song. Gotta pat myself on the back as a good Dad for that one. Just cool, gets you moving and singing along even if you’re not sure of some of the words, go ahead and make ‘em up as you go, more about the vibe than the lyrics anyhow. Although, “just move yourself and glide like a 747” is pretty hip. 2. 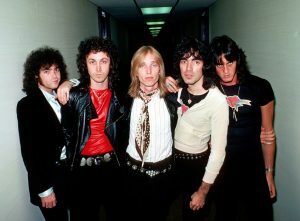 American Girl – Tom Petty & The Heartbreakers (1977) – Just my opinion but I favor the old Tom Petty (say 1977-1985) over the rest of his lengthy and illustrious career. This one is a perfect example of my preference as the older stuff just seems a little more varied and a little rawer. Got lots of favorite lines in lots of songs and for this one I would definitely choose “she stood alone on her balcony” as Petty’s pronunciation and delivery are quite fun. Hey, let’s do this again. And one better than a Top 10 in “turning it up to 11” as I just had too many good cuts to choose from on this particular trek to the Knox County strip mines. 10. 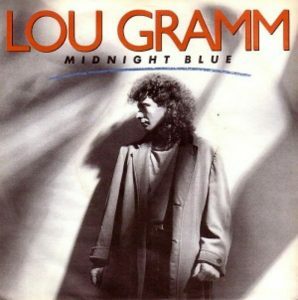 Midnight Blue – Lou Gramm (1987) – Anybody ever associate a particular song with a time or a place or a person? Of course you have, that’s what good tune does. Anybody else hitting that age where you recall something and then wonder if the memory is correct? In the case of this song, I seem to recall a lefty on the Knox College baseball squad nicknamed Giddy who really dug this cut and I do too. Giddy, I know you’re out there, if you read this let me know if I’ve got it right or simply losing my mind. 9. 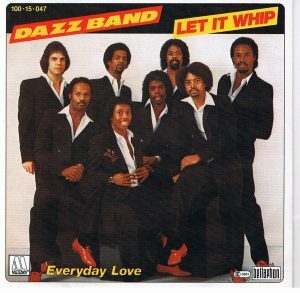 Let It Whip – Dazz Band (1982) – Speaking of Knox College, back in the early 80s the college radio station, WVKC 90.7FM, used to feature a weekly program focusing on a mix of funk, hip hop, rap, post-disco and R&B infused pop. 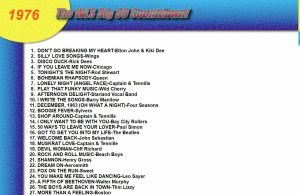 Interesting stuff for a kid normally tuned in to WLS 89AM or the local Top 40 station, Q93. Spent many of those Saturday nights tuned into “The Voice” as the station was nicknamed (Sunday nights was Dr. Demento on 97X). Anyway, what a treat it was to hear stuff like this one or “Controversy” by Prince or “White Horse” by Laid Back or “Take Your Time Do It Right” by The S.O.S. Band or “The Breaks” by Kurtis Blow or “The Message” by Grandmaster Flash and the Furious Five or…time to revisit these jams on the internet once I get this post completed. 7. 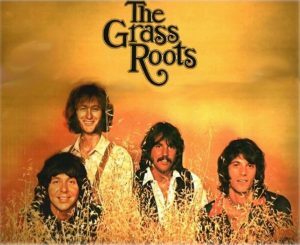 Sooner or Later – The Grass Roots (1971) – Dare you not to sing along to this catchy love song. Plenty of vocal roles to choose from, too. Maybe you’re a lead singer, perhaps you opt for harmony, possibly just pitch in with the punctuated “time”, “mind”, “when”, “again”, take part in a little call and response or go ahead and let it all hang out during an improvised finale. Just one of those make you feel good, could listen to it all day, they don’t make ‘em like that anymore tunes. 6. 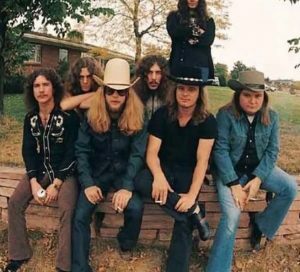 The Ballad of Curtis Loew – Lynyrd Skynyrd (1974) – Discovered this one rather late. Never was much of an album kid, didn’t have any money after buying baseball cards, so never heard this tune until sometime in the 90s on the radio. Knew who it was right away but not quite what it was and always a treat to find something old on the dial that’s brand new to my ear. Great story song about a wonderful piece of common ground called music.